This list is not meant to be comprehensive, but it's a good start to any large-scale decking project. If you'd rather not read, here's a simple chart below to help you make a choice. This is where I often begin a discussion with a customer. Do you want your deck to be the first thing people see and admire? Or will your deck blend into the surroundings, with other features more prominent? For a "showcase" deck, expensive hardwoods or high-end variegated colored-capped composite or PVC are a beautiful option. For a deck that "blends in," any wood left to gray naturally or a single-color capped composite or PVC. The choice between wood and wood alternatives (PVC and capped-composities) is not only a matter of cost. Wood is soft and cool to the touch. There are both low- and high-maintenance wood options, and wood can meet the needs for both a showcase and a background deck. Wood decking choices include knotty cedar, treated hemlock, clear cedar, and various plantation-grown tropical hardwoods. 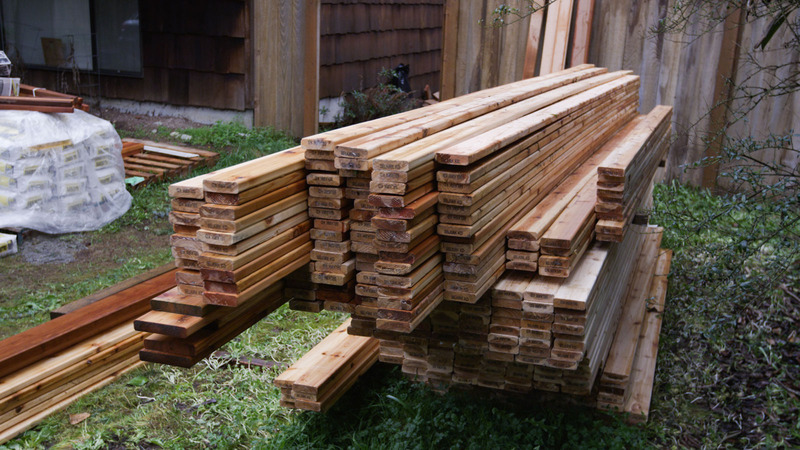 There are many goals to consider when pursuing the best environmental choice for decking, but it's really hard to beat sustainably grown and harvested softwood lumber from the Pacific Northwest. Whether western red cedar or treated western hemlock, strict state and federal regulations ensure the healthiest forests on the planet, including careful guarding of streams, wildlife, road-building, and the replanting of five trees for every one harvested. In most cases, lumber in the Northwest is manufactured with close to zero pollution and with net electricity added back into the grid. If you consider the oxygen produced by young forests and the carbon dioxide sequestered in the lumber (practically 100% of its mass), wood is a smart green option! If for whatever reason wood is not the right choice for your deck, a capped composite can be a great green alternative. Composites combine wood fiber captured in manufacturing with plastics from various sources, many of which are recycled. All decks require some level of maintenance, but there's a broad scope to the amount of maintenance required. This is the intersection of showcase and high-maintenance decking. If you love refinishing your classic Chris Craft ski boat, you'll love maintaining a gorgeous hardwood showcase deck. In the Pacific Northwest, that's at least once a year—preferably twice—and includes cleaning and refinishing with periodic light sanding. With softwoods, you have a choice of materials. If you want the wood to keep its original color and finish, it's going to require the same maintenance and gentle treatment. On the other hand, if you like the feel of wood, don't mind a gray color, and aren't interested in "maintaining a vintage yacht," you can lightly clean the wood yearly and let nature take its course with the color. If you choose a high-end PVC or capped-composite with multi-chromatic color, you're going to want to clean it at least once a year—especially in a climate like Seattle, with all of our moss and pollen. The good news is that no additional treatment is needed, although pretreating with a product like Wet and Forget can hugely reduce your cleaning needs. The lowest maintenance requirement comes from a single-color PVC or capped-composite that blends into the background. It will eventually need to be cleaned, but depending on your environment (the presence of trees, shade, needles, and pollen) you may be able to minimize the frequency of cleaning. If you're a contractor building hundreds of homes a year, moving from city to city, and cost is everything, then face-nailing is your best, most economical bet. Face-screwing is a good option if you don't mind the pattern of dots. Be sure to use stainless or ceramic-coated screws that match the decking. It's a matter of taste. Anything but stainless in cedar or hardwood will certainly result in black staining due to extractive bleeding of tannins. Hidden fasteners are definitely the best option for the appearance of PVC or capped-composite, but they are more costly and there are many choices of systems. Hidden fasteners with wood decking need more careful consideration, so I recommend talking to a Dunn Lumber decking expert for their recommendation. The location of your deck matters, and when choosing a deck surface, you must consider the environment. The Pacific Northwest is known for moisture and shade, and those produce moss and mushrooms in abundance. If you add leaves and needles to the mix, you're just asking for rot and decay. Rather than moss, your challenge is UV radiation and heat. You may still experience an accumulation of pollen or road dirt but you're not going to be fighting things growing nearly as much. If your preference is wood that blends into the background, this is a decent environment. Wood will gray out well and rot won't be much of an issue. Be careful of dark colored PVC or composites. These will get hot in direct exposure. This is the opposite extreme. The Pacific Northwest is known for moisture and shade, and those produce moss and mushrooms in abundance. If you add leaves and needles to the mix, you're just asking for rot and decay. In this scenario, your challenge with be keeping your deck from reverting to the natural environment of moss and mushrooms. 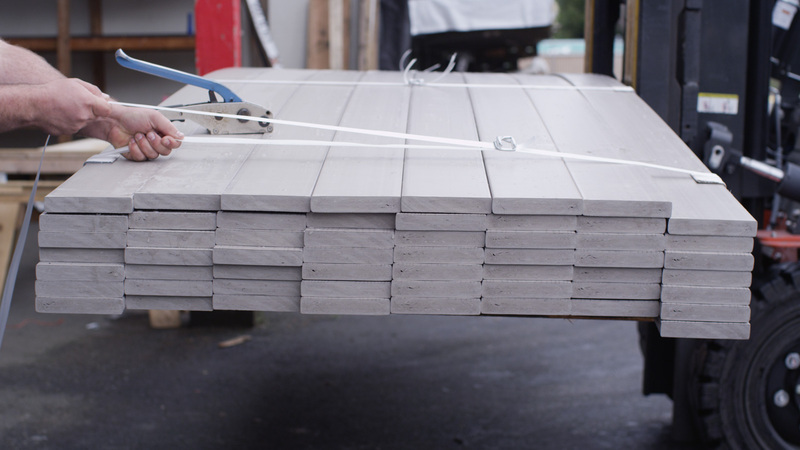 Your best choice is an easy-to-clean PVC or composite—and then plan to clean it often. Depending on the dryness of your environment, this is likely the easiest deck to maintain. A dry shady area will be free from the extremes of sun and shade and your options are the most varied. Are you looking to enjoy your deck for several decades, or only for a couple seasons? Deck surfaces vary wildly in cost, and although any deck can last indefinitely if well cared for, some options are more naturally long lasting than others. 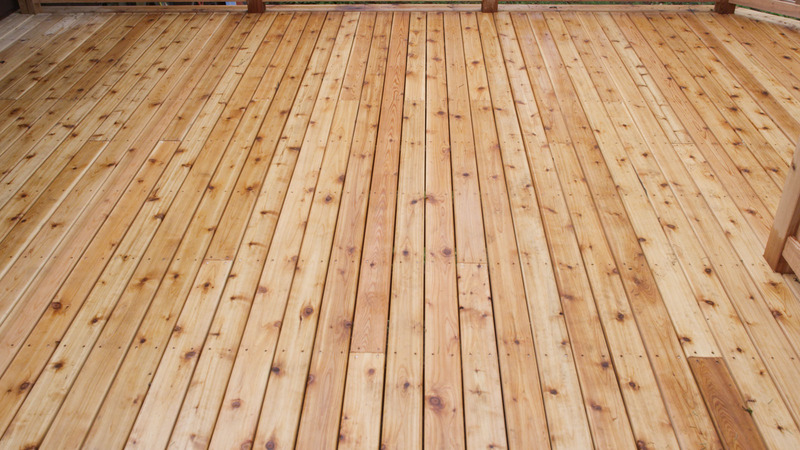 Cedar decks must be well maintained to avoid rot and UV degradation. Next in line is treated lumber: it could probably last forever, but the appearance will make you wish it didn't if the surface is not recoated often to protect against weathering. Hardwood lumber, such as Ipe, can also last forever. If you like the natural silver color that comes from bleaching in the sun, it will be a low-maintenance choice. Variegated-colored PVC and capped-composites will last a long time, but the appearance requires regular cleaning in response to the environment. Years down the road, the finish might require a little help. Single-color PVC or composite is in one sense the longest lasting because the appearance is less affected by dirt, pollen, or sunshine; its appearance blends into the natural environment. If you have heavy traffic, big dogs, or kids and their toys, and you want to maintain the surface appearance, you might want to consider capped-composites. I believe it's the most resistant to scratching and gouging. Most importantly, unless your chief aim is low cost, stay away from softwoods. For most people in Seattle, space is an issue. The area under your deck can be used for dry storage, an off-season entertainment space, or even an addition to your lower story. The first option is catching the rain that filters down through your deck boards and channeling it to the drain field. These systems collect the rainwater that falls through your deck boards and divert it from living areas. The second option is a solid plywood deck covered by GacoDeck. This option allows for a dry outside space or an enclosed living area that extends the ground floor. In tight urban environments, this can be a great addition. There are also many professionally installed options for weatherproof decks. Choosing your deck can be a complicated and confusing process! 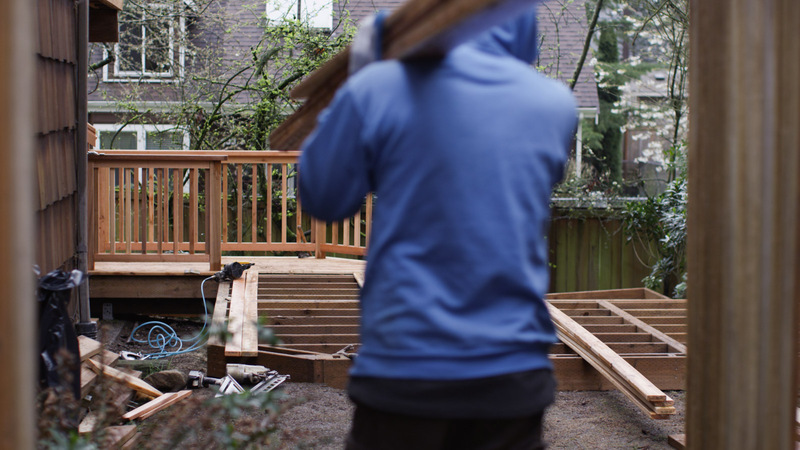 If you ever have any questions about building, maintaining, or repairing your deck, email me at mikedunn@dunnlumber.com. 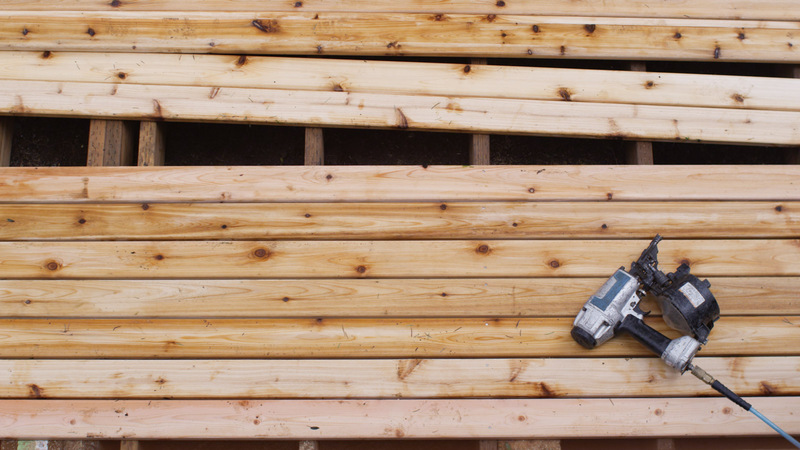 If you're ready to get started, you can click here to make an appointment with a Dunn Lumber decking expert. Whether you want your decking to blend into its surroundings or be the first thing people see, we're here to help you choose the deck surface that fits your home and lifestyle.